We are very excited that, for the third year in a row, an Arbordale title has been selected for the First Grade Reading Initiative! 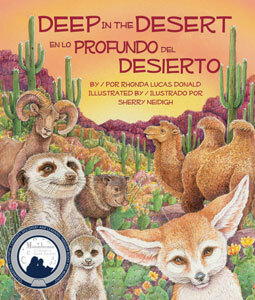 This year's picture book selection is Deep in the Desert / En lo profundo del desierto (Bilingual)by Rhonda Lucas Donald and illustrated by Sherry Neidigh. 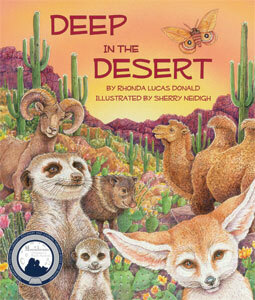 4000 hardcover books were delivered in early May to 62 different district and school locations throughout the state. 1. Access links - sent to schools for use in the school, and for sharing with families directly and via their school websites. Parents - if you have not received a school password, please check with your school or call us and we will get you access to your school's Fun eReader (843-971-6722, 8:30-5:00 EST). Schools - if you have not received your setup email, please call or . Reading Contest - 6 school awards in two categories - Congratulations to our four winners!! Here are the top 10 with winners highlighted! 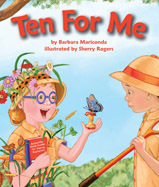 Arbordale books are first and foremost fun-to-read picture books with engaging stories to instill a love of reading. 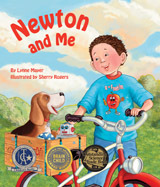 Our STEM-related books are either fictional stories with non-fiction facts woven throughout the story, narrative nonfiction, or nonfiction with a cuddle factor to engage children making learning fun and exciting. All books include 2-6 pages of our signature For Creative Minds (FCM) back matter that is designed to facilitate parental engagement even if the parents themselves no longer remember or never learned the underlying science. Arbordale's Fun eReader® ebook format is perfect for beginning or struggling readers and ELL / Dual-language learners. Teaching Activity Guide: 25+ pages loaded with language arts, science, math, and geography activities, questions to ask before reading, text-based questions, writing prompts, glossary, and much, much, more! Spanish Translation. All 140 titles are translated into Spanish and when you play with the ebooks, you'll see that they have language selection on a simple English-Spanish toggle that enables selection on-the-fly with near instantaneous change in audio and imagery while remaining on the same page. Also, the word highlighting and ability to slow down the reading are game changers and make our eReader a serious reading and language learning tool. More specifically, numerous studies have shown that audio to text synching supports comprehension and engagement with the text and helps develop oral language skills, fluency, and pronunciation. Our Spanish translator and narrator, Rosalyna, hails from Mexico City but now lives in Texas and has taught college Spanish in the US for many years. Her translations are vetted by Frederico, who lives in Mexico City and has been an educational consultant and professional translator for over 20 years. As a small, independent publishing company, we pride ourselves on offering a strong catalog of fiction, narrative nonfiction, and nonfiction titles, each with an elementary-level science or math connection that has been thoroughly vetted by experts in the field. 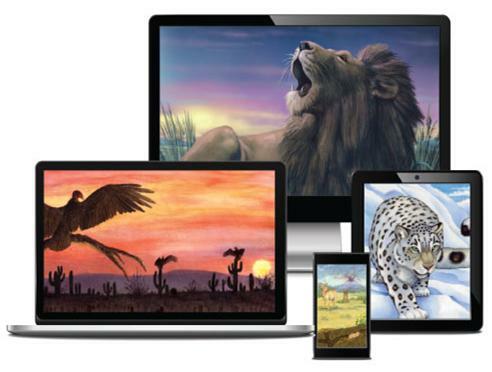 Our interactive eBooks, published books in English and Spanish, and a plethora of supplemental resources makes us the perfect fit for any school or library that wants to engage children at school or at home by sparking their natural curiosity while improving their reading skills, language acquisition, and critical thinking skills. We hope that your school families will love reading the books. If you have questions, please call us at 843-971-6722 (east coast) or .